Shawn and Susan run a camping program to disciple and train youth through experiential outdoor programs and sports. Shawn and Susan were married in 2002 and are both graduates of Manhattan Christian College in Kansas. Shawn also studied at the Kanakuk Institute and received his Master's Degree from John Brown University in Arkansas. Raised as a missionary kid in Mexico with dual nationalities (US/Mexico), Shawn has returned to Mexico to serve there with his family. In 2000, God called Shawn to start a sports camp ministry in Mexico. 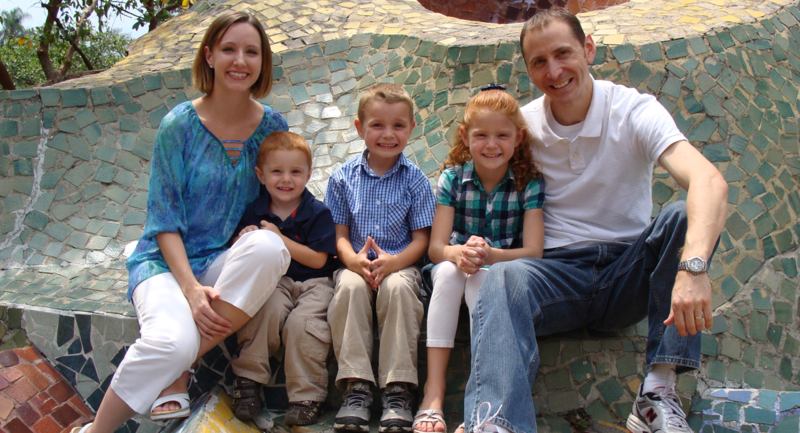 After growing in experience as the director of Lakeview Christian Camp for four years and finishing ShawnÂ´s masterÂ´s degree, the Inchaustegui family moved to Mexico in 2009. They are currently living in Cuernavaca, Mexico (1 hour south of Mexico City) and are developing a camping program to disciple and train youth through experiential outdoor programs. Sports camping allows youth to practice and improve in their chosen sport while experiencing Christian community and encountering the gospel message in a fresh and impacting way. Shawn, along with a team of other Mexican believers, have established MisiÃ³n Sports Camps with their first camp program starting in the summer of 2011. Shawn and Susan Inchaustegui are the proud and blessed parents of Isabel (2003), Kaleb (2006), and Isaac (2008).